Everton will demand huge £80 million for rumoured Chelsea transfer target Richarlison, the latest reports say. The Brazilian star is being considered by the Blues as a replacement for Belgium international Eden Hazard, who is expected to sing for Real Madrid in the summer transfer window. Chelsea are closely monitoring several potential attackers who can fill the boots of Eden Hazard and are huge admirers of South American forward. The Daily Star state Chelsea will be joined by AC Milan, Atletico Madrid and Paris Saint-Germain in the hunt to sign Richarlison. 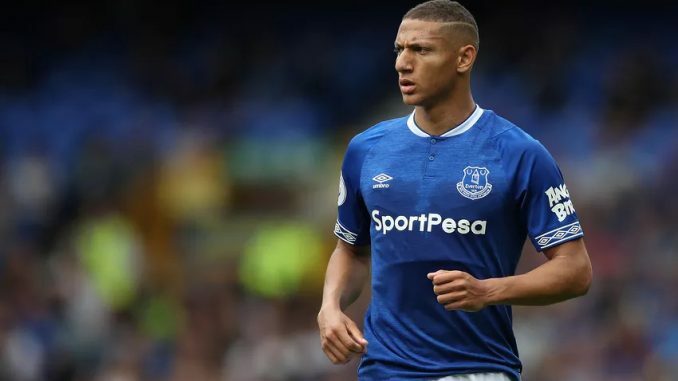 The club paid an initial £40 million for Richarlison and are willing to hold onto the Brazil international, hence the decision to slap a big price tag on his head. Richarlison enjoyed an electric start to the campaign with three goals in his first two matches, but the 21-year-old star was dropped for the midweek fixture versus Manchester City. Marco Silva restored his key player to the starting eleven that took on Javi Gracia’s Watford on Saturday, but he was taken off after 66 minutes with the Blues chasing the game. Richarlison’s future could depend on whether Marco Silva stays at the club beyond the end of the campaign. The Premier League side are said to be thinking about axing Richarlison’s mentor, as the Toffees continue to underwhelm under current manager. Silva prioritised the landing of Richarlison from Watford when he became Everton coach, but both men could now be set for an early exit from Goodison Park.